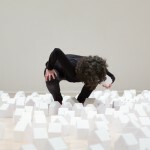 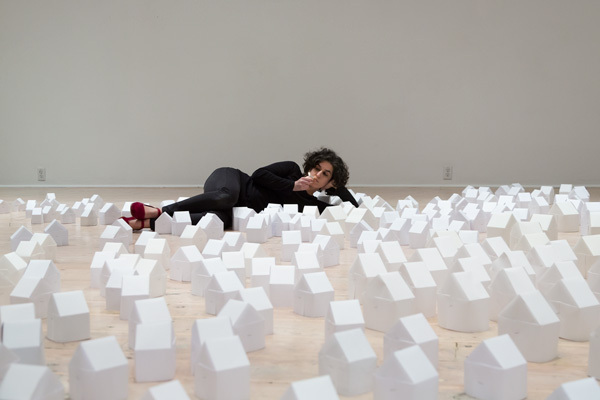 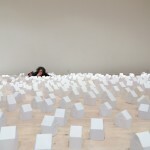 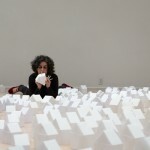 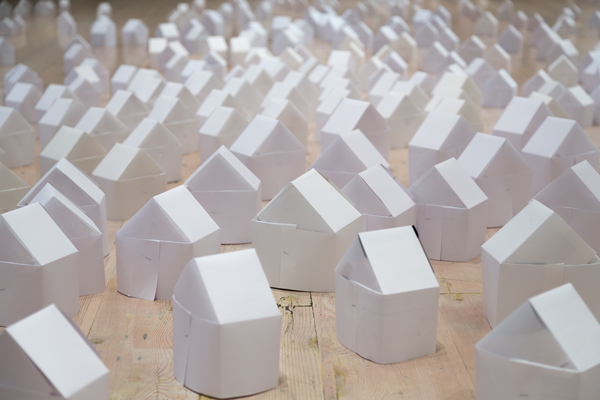 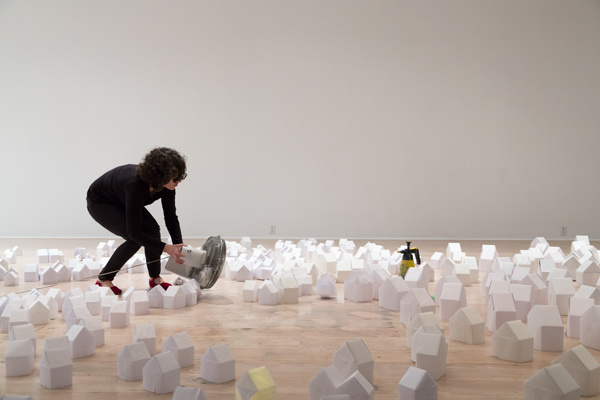 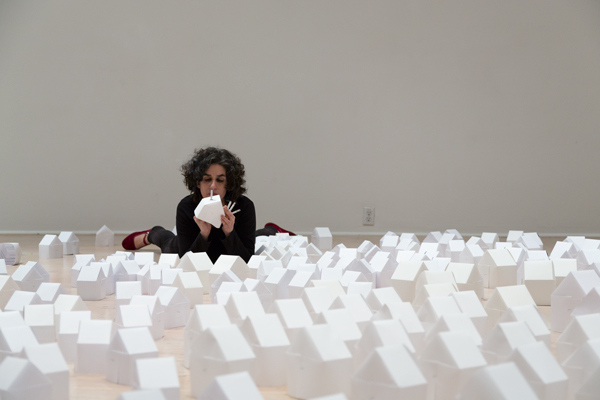 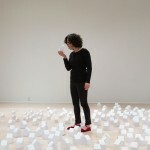 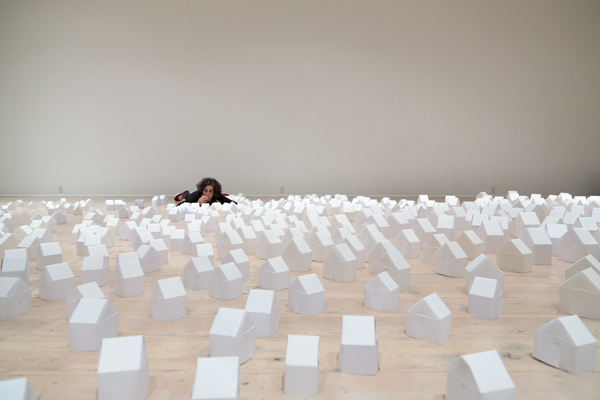 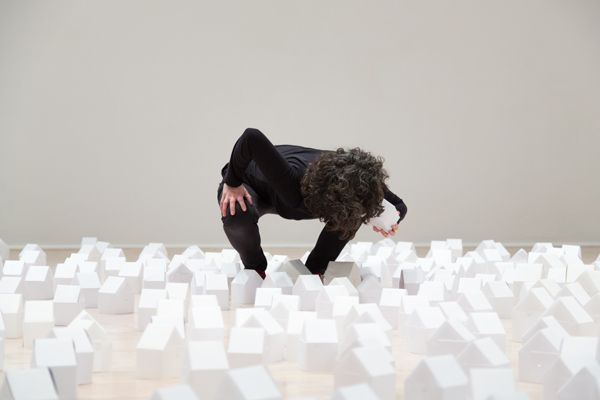 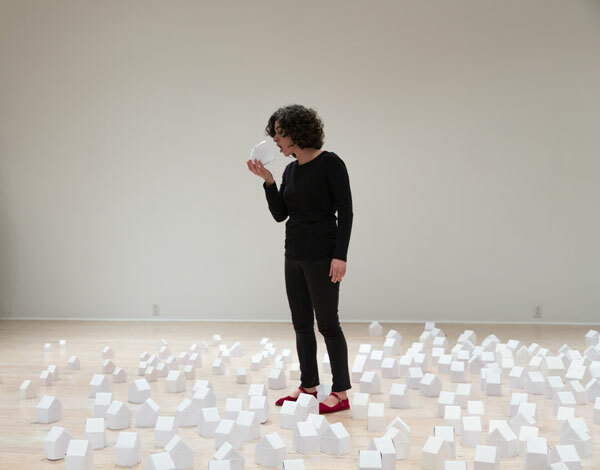 Houses was a performance in which I cut, folded and stapled approximately 500 houses made from recycled papers. 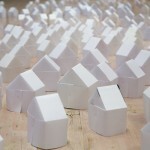 These filled the gallery and became the basis of the performance in which I sang, spoke and yelled into individual houses, smoked cigarettes that became chimneys in many houses and sprayed air freshener and dirty water over different areas. 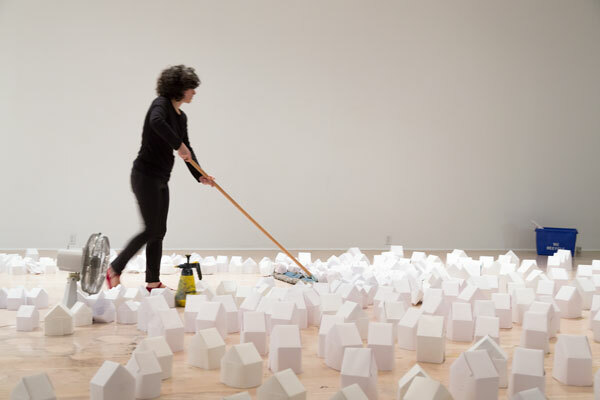 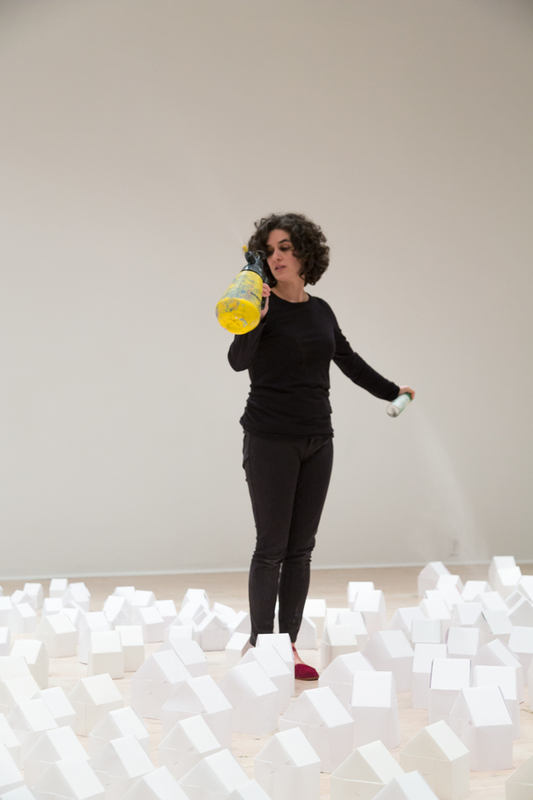 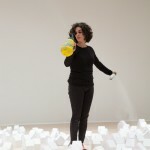 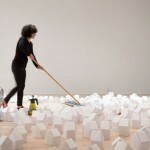 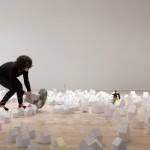 The piece ended with fans and mops, moving it from an emblematic village, to an image of erasure and destruction.